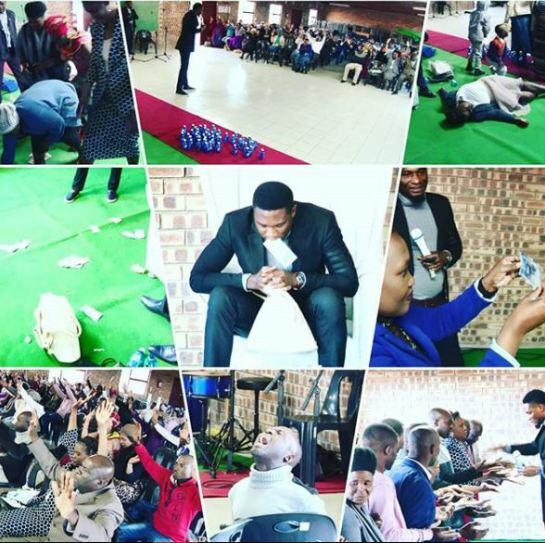 A video showing a Nigerian Pastor vomiting ‘Miracle Money’, sent to him from God is currently making rounds online. 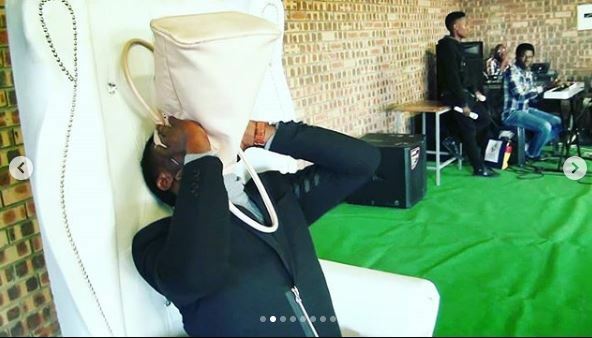 The clergyman who shared photos and videos on his Facebook page, used a white bag, which he showed his congregation to confirm the bag was empty before performing his miracle. They all confirmed it was empty, then he sat down and prayed, and he says all of a sudden, the money started coming out of his mouth. 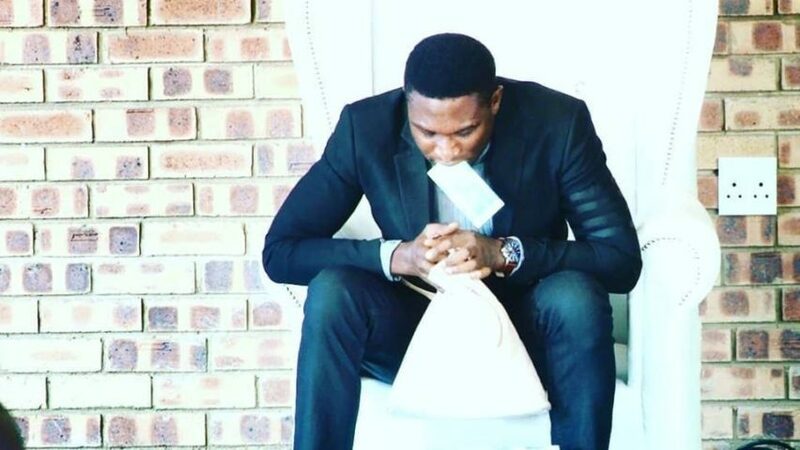 He said he had to call on a banker present at the service to verify if what he vomited were fake or real notes, the lady confirmed that the notes were real and they distributed the notes to the congregation. “Last Sunday as i was preaching at the church here in Limpopo, I came across a lady and I saw how so desperately she needed money. I said mama, stand up, she stood. I asked her, how much do you have in your handbag? She replied 1 Rand 50 cent. I said empty your handbag, she did, I took the handbag to the congregation and asked them to verify if indeed there was no money inside the handbag. “The congregation verified that there was not even a cent in the bag. I took the empty bag, I prayed and asked God to fill it up with money and all of a sudden, money started coming out from my mouth. “The congregation was shocked beyond reasoning watching me vomit notes of Rands into the empty bag. This is not the first time I vomited money but the people in Limpopo was seeing it for the first time. “Because of fears and shocks in their eyes, I called on a banker present at the service to come and verify if what I vomited was fake or real notes, the lady confirmed that the notes were real and we distributed the notes to the congregation. “Many people say it’s magic while others are saying it’s not real. I have not even started performing miracles on earth, very soon, I will show the world all signs written in the Bible before the coming of Jesus. “Miracles that will drop our jaws will happen like waters. But while you are busy arguing and doubting whether MIRACLE MONEY is real or not, 5000 people will receive Miracle MONEY in there handbags and wallets this night. “If you have red this post, Use your right hand to comment “Come” 12 different times, share this post 12 different times and use your mouth to shout come 4 times.